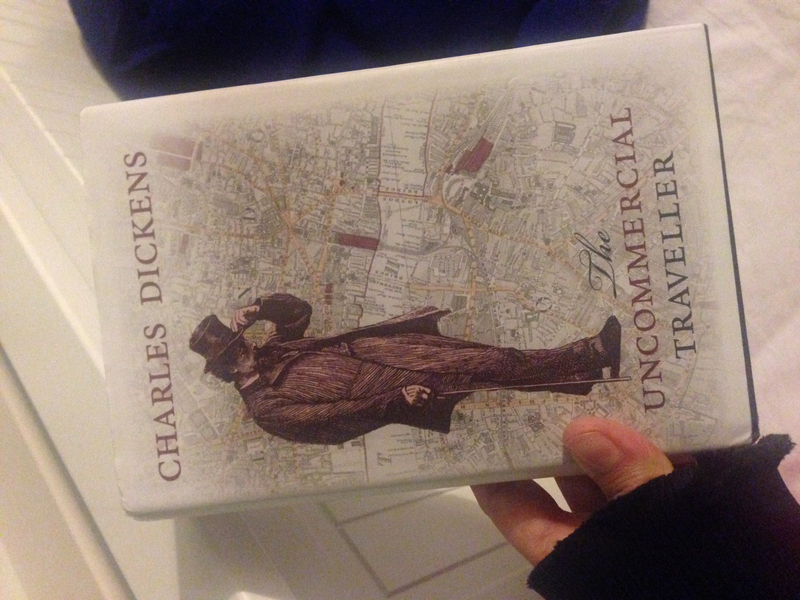 My summer reading this year included Charles Dickens’ The Uncommercial Traveller (published in a new OUP edition in 2015), a collection of sketches from walks, visits and journeys he made around London and elsewhere. These were originally published in his All Year Round journal during the 1860s. Of note here is a piece entitled ‘The Italian Prisoner’. Obviously, the themes of crime, punishment, imprisonment, poverty, workhouses, convict labour, penal settlements and colonialism feature heavily in Dickens’ novels and other writing [influenced in part by his family’s stay in Marshalsea prison in 1824 due to his father’s debts] and it might be interesting to map out the different types of carceral spaces composed of the official and unofficial prisons of his characters and the connections and paths between such spaces as both plot function and social commentary. For Dickens it is usually the wrong people who are locked up with imprisonment often being presented as too good for the most villainous of his characters who invariably meet far stickier ends. His navigation around the emerging Victorian disciplinary system – prison, factory, school – bears the traces of an older spectacle of punishment embodied in his penchant for melodramatic redemptive death scenes. His account here is oft-cited both by those opposing the continued use of solitary confinement in U.S. prisons and penitentiaries today and those writing on Eastern State Penitentiary in its current incarnation as penal museum and tour (see for example, Michael Welch, Escape to Prison, 2015). In its time, Eastern State Penitentiary was heralded for its use of radial design and other forms of architectural and disciplinary innovation including solitary over and against the overcrowded, disease-ridden prison it was built to replace. As such Dickens’ critique is held up as a warning against contemporary claims that technological innovation makes for better prisons. Such writing should be contextualised within a world or moment in which incarceration together with new prison design appeared a welcome, progressive response to capital and corporal punishment and over-crowded, unhygienic medieval jails. Likewise, our own visits to the defunct prisons and penal settlements of the 19th and early 20th centuries also require greater contextualisation which is often overlooked or downplayed by those writing on penal tourism. While Dickens own social commentary was ultimately conservative and stopped short of advocating radical social change, there is a palpable sense of despair in his writing on Eastern State Penitentiary – a recognition that architectural advance does not constitute progress or humanity. Are our own visits to prison museums, exhibitions or ruins underpinned by a sense of optimism or despair about the future of incarceration? The story of ‘The Italian Prisoner’ is of interest as a strange, deferred form of penal tourism which is quite different to other accounts of prison found in Dickens. Dickens pays a visit to a former prisoner, Giovanni Carlavero, who had been locked up for alleged involvement in the uprisings in Italy during the period. He has been ‘commissioned’ to do so by an anonymous friend who, it turns out, had secured the prisoner’s release at great expense and effort. Carlavero now owns a small vineyard and on making Dickens’ acquaintance insists he carry a bottle of the first wine produced back to his benefactor. The second part of the story involves the tale of the bottle as it travels across Europe. Nevertheless, it is through his transportation of the bottle that Dickens is able to participate in the story of Carlavero’s imprisonment and release despite his claims at the start of his account that ‘the character I myself sustained was so very subordinate, that I may relate its story without any fear of being suspected of self-display.’ (p.168) The customs dodging and extra-legal negotiations Dickens has to go through in order to ensure the wine is not opened or confiscated en-route imbue the wine with an aura of criminal activity, an image of smuggled contraband befitting of a prison souvenir whilst Carlavero’s innocence is maintained to the last.